Soooo, I’m on Astoria Blvd. in Queens NYC waiting for the bus to LaGuardia when I notice this bronze plaque cemented into the sidewalk. 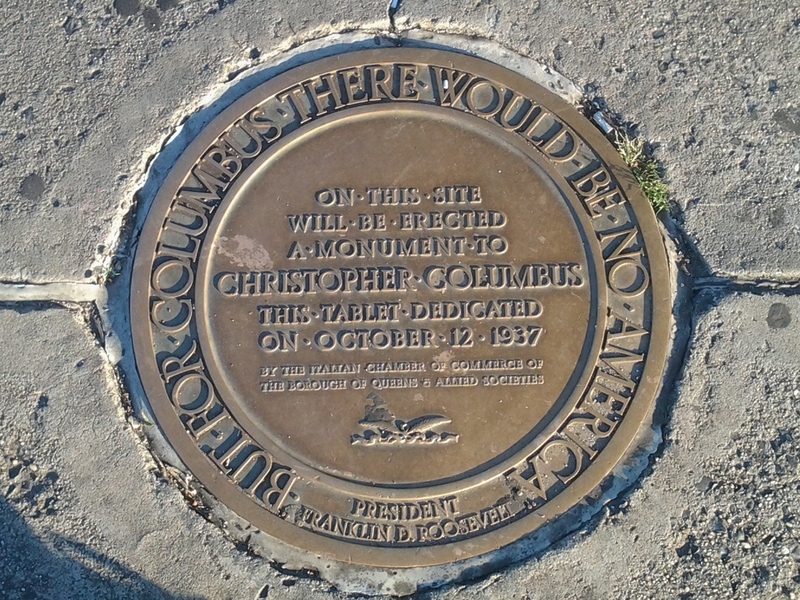 “On this site will be erected a monument to Christopher Columbus. Now THAT’s putting it out there. We’re gonna do something and we’re going public with it. Hard to forget about a bronze plaque cemented into a sidewalk beside a busy train station. Then stuff happened. Before they could get the statue commissioned, cast, transported and up on his pedestal, they found themselves smack dab in the middle of WWII, there was a shortage of EVERYTHING especially money, man power and metal…that plaque sat in the cement reminding them of the intention. 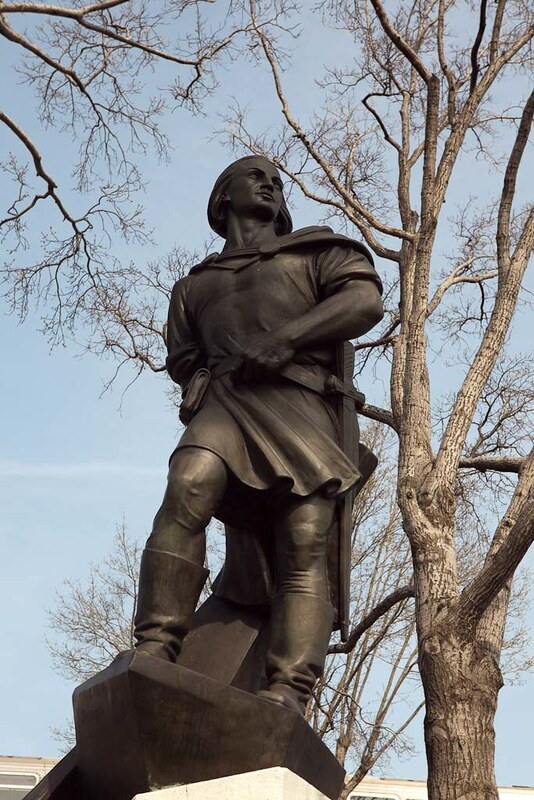 After the war, in 1945 – SEVEN YEARS LATER, Columbus finally got planted on Astoria Blvd. where he’s still hanging out…looking rather dashing I must say. It’s easy to make plans, and it’s easy to break them…especially when something gets in the way…like a war. Get your intentions out there, cast them in Bronze and cement them into the sidewalk where you’re going to be reminded of them every day…or at least stick a note on your mirror.